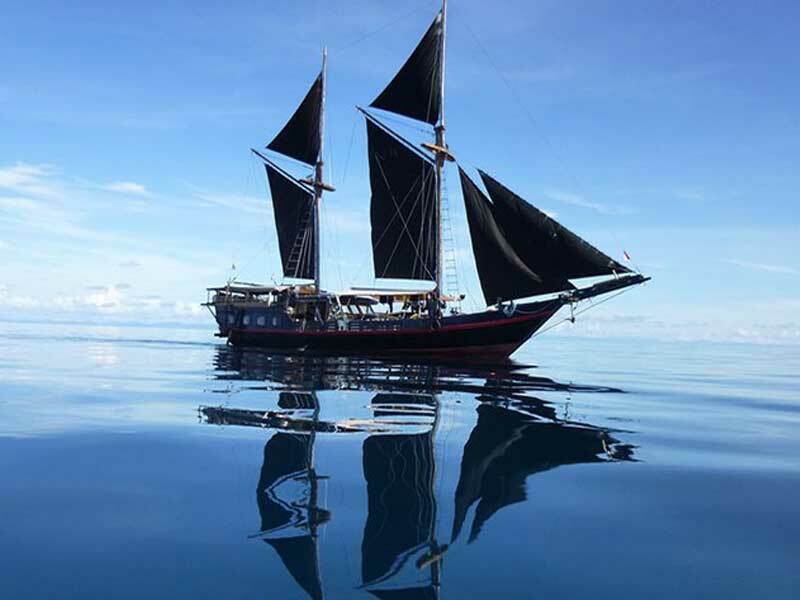 Komodo Liveaboard – Scuba Republic Indonesia is proud to present one of the most famous dive sites in the world – Komodo National Park, a protected UNESCO World Heritage site. 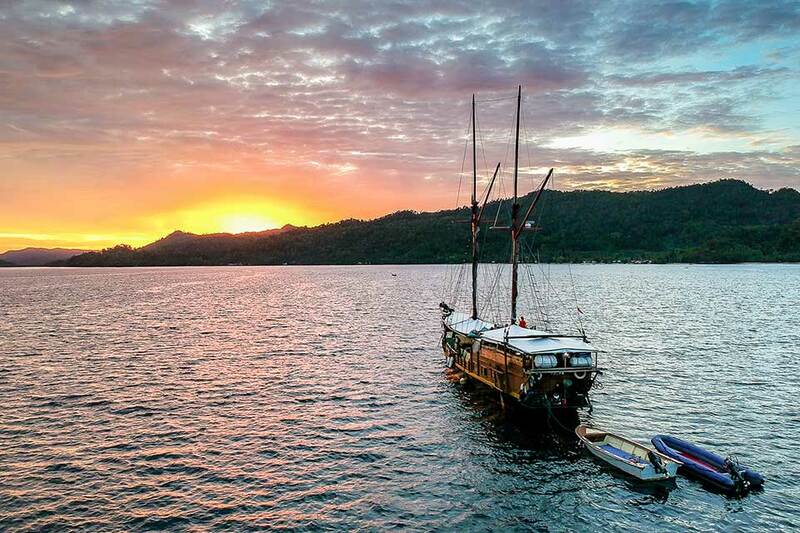 Komodo National Park features some of the most exotic and diverse environments on earth, from the famous Komodo Dragons roaming the beaches to 150+ species of birds, buffalo and monkeys. Komodo National park is every diver’s dream- here we get to explore hundreds of species of fish and corals also the pristine underwater reefs. We also have great chances to encounter pelagigs like manta rays and sharks, wonderful critters and marvel the rich and diverse marine life. 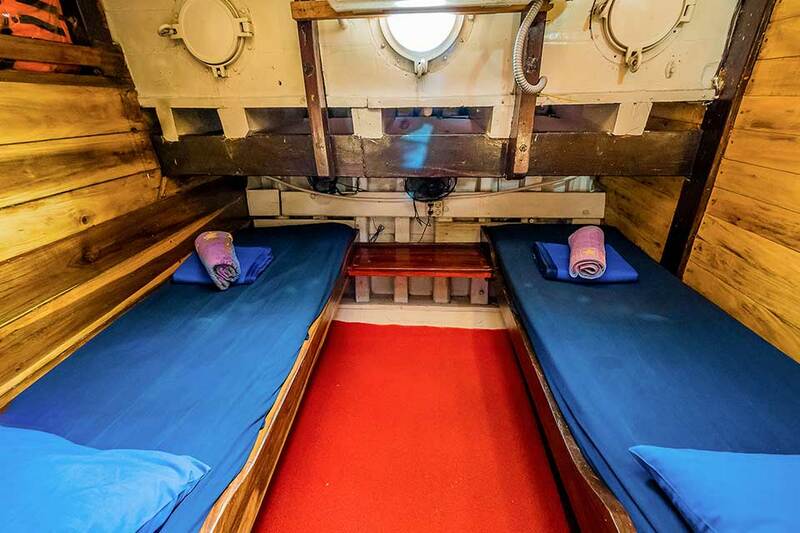 Our Komodo Liveaboard is simple but comfortable for you to spend your time relaxing, eating or sun bathing while not diving. Or why not do a little bit snorkeling in the calm bays. We also arrange trips to beaches on assigned locations. 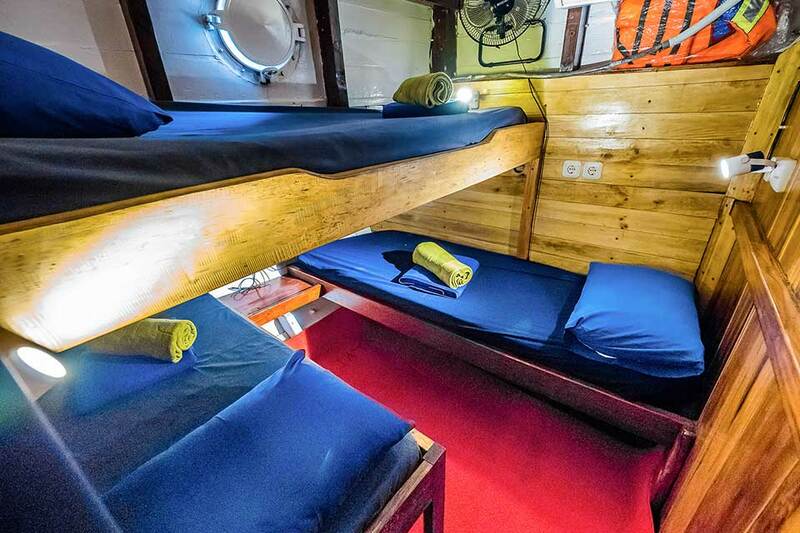 Jaya Liveaboard Boat by Scuba Republic Indonesia. More about Komodo Island Indonesia. 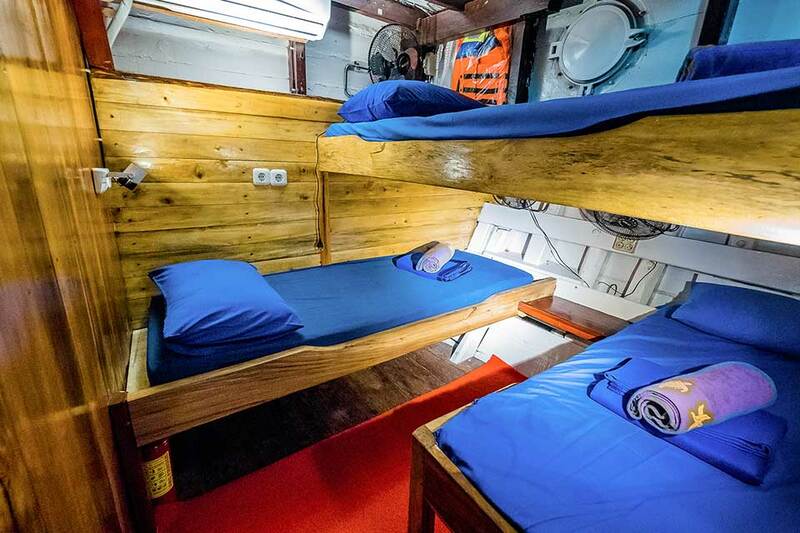 VAT, Fuel Surcharge, Port Fees, Drinking Water, Tea & Coffee, Full-Board Meal Plan (All meals), Snacks, Diving Package, Land Excursions, Cabin Towels, Complimentary Toiletries. Environment Tax, National Park Fees, Visas and Fees. 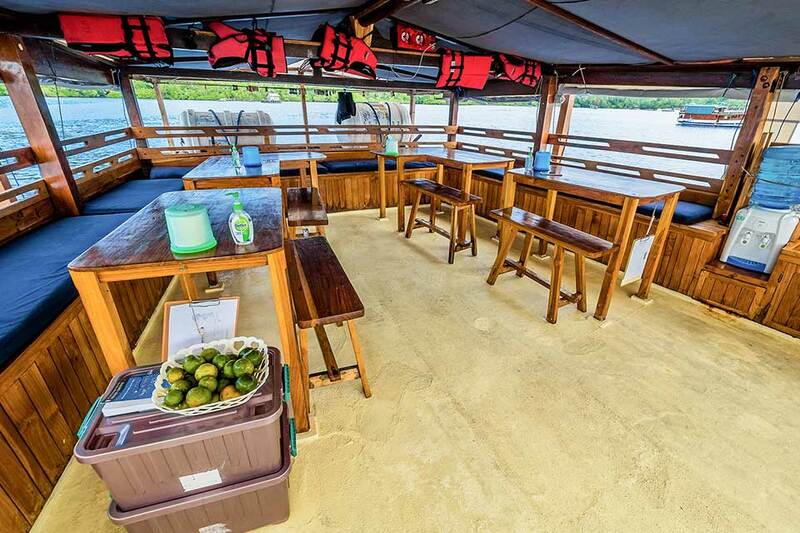 Gratuities, Airport Transfer, Hotel Transfer, Local Flights, Alcoholic Beverages, Soft drinks, Private Dive Guide, Scuba Diving Courses, Snorkeling Guide (400,000 IDR per day), Beach Towels, Deck Towels. China Shop, Crystal Rock, Cauldron, Batu Bolong, Makassar, Mauan, Golden Passage. (1 dive) Meet at 11 am at Labuan Bajo Harbour for check-in and Marine park & equipment payments. Lunch. Check Dive. 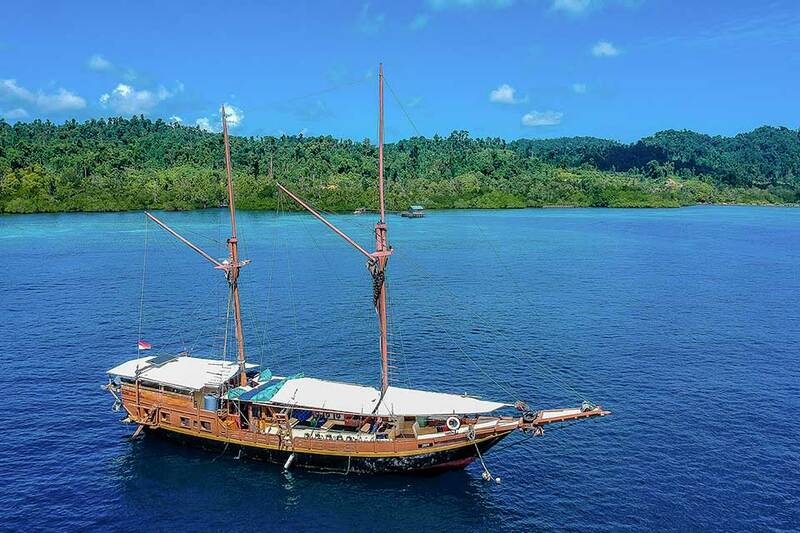 (1 dive) Land expedition to visit Komodo dragons. Arrive at Labuan Bajo Harbour around 2 pm. Advanced Open Water – 20 minimum logged dives required. We are using a maximum of 4 to 1 guide ratio so that we get to explore hundreds of species of fish and corals also the pristine underwater reefs. 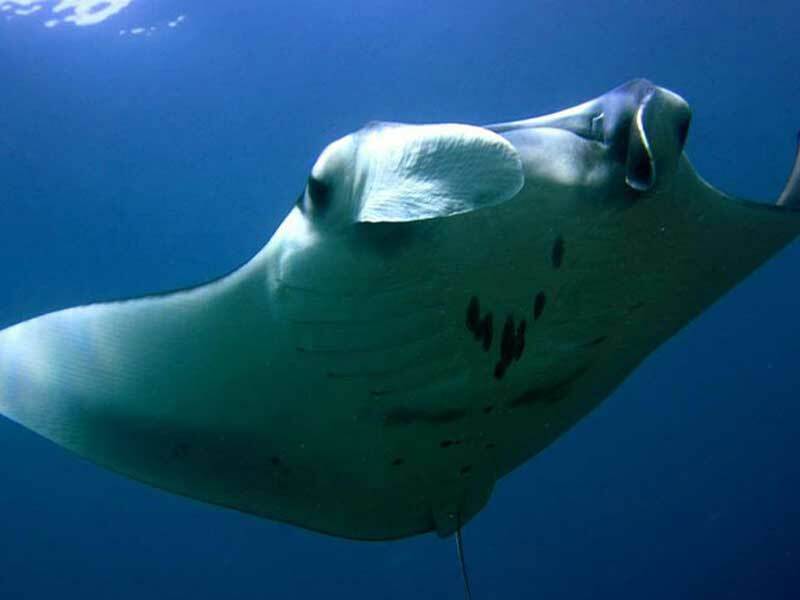 We also have great chances to encounter pelagics like manta rays and sharks, wonderful critters and marvel at the rich and diverse marine life. Please Note: Schedule will always be determined by conditions, weather, marine life and numbers dependant. We do not guarantee dive sites as we cannot guarantee conditions of that dive site. 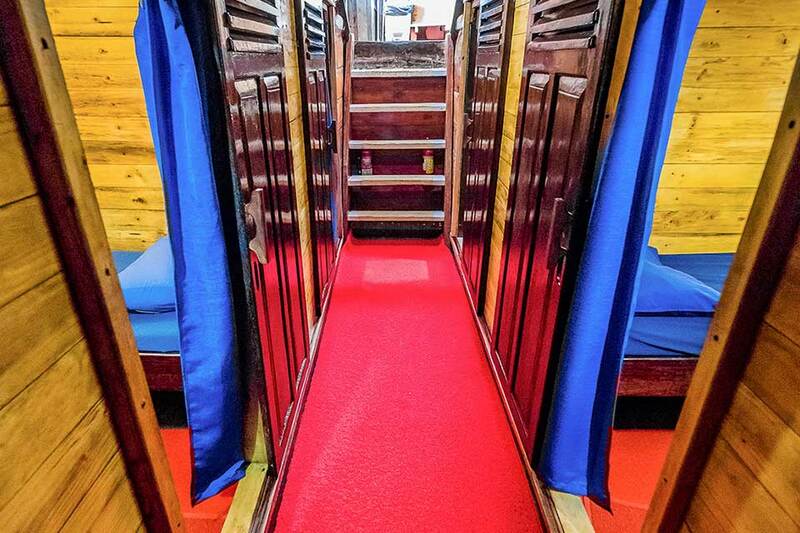 However, we ensure to meet our guest’s needs as much as it is in our power to do so. The crew speaks English, Spanish, and Indonesian. How do I get to Komodo? We can also arrange pick ups from other Gilis or Lombok. 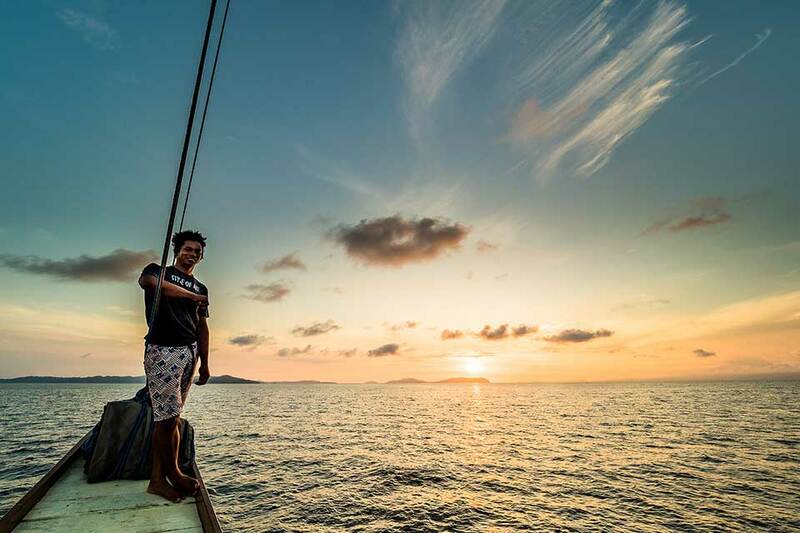 Getting to Gili Trawangan is easy with a fast boat service from Bali (Ngurah Rai International Airport) or from Lombok (Lombok International Airport). 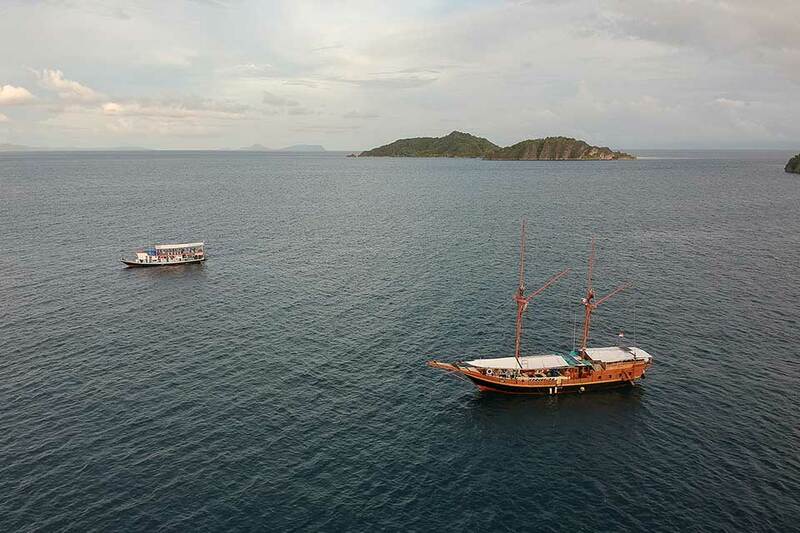 Regular local ferry is also available departing from Benoa Harbour (Bali) to Labuan Bajo. Alternatively, you can come through land transportation from island to island. From Bali you would have to cross through 2 islands, namely Lombok and Sumbawa. What can I expect to see there? Komodo National Park boasts over 1000 different species of fish, 260 different types of reef building coral and 60 different types of soft coral. The climate here is tropical, averaging 25C to 30C. Water temperatures range from 25-29C in the North and 22-28C in the South and can change rapidly due to tidal movements and currents.